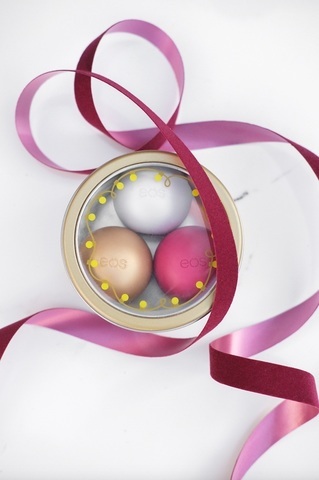 Enjoy the delights of the season with the natural choice for beautifully soft lips. 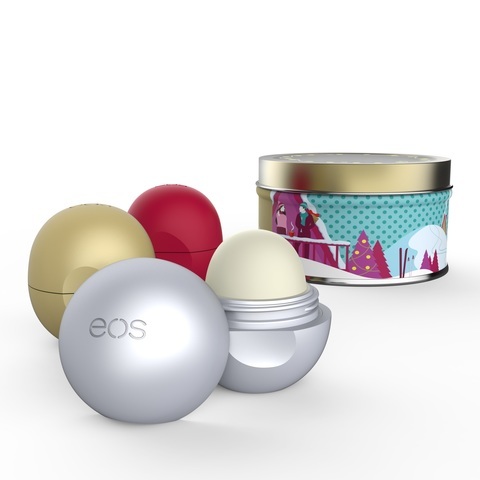 Soft lips are always in season and the eos Limited Edition Holiday Collection is enriched with moisturizing shea butter and conditioning oils to give you softer, more beautiful lips all season long. Deeply hydrate and soothe winter lips with this assortment of natural lip balms. 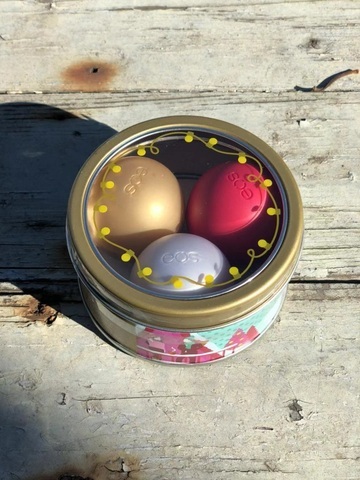 Pomegranate Raspberry: Helianthus Annuus (Sunflower) Seed Oil*, Beeswax/Cera Alba (Cire d’abeille)*, Cocos Nucifera (Coconut) Oil*, Copernicia Cerifera (Carnauba) Wax/Cire de carnauba*, Simmondsia Chinensis (Jojoba) Seed Oil*, Flavor (Aroma), Butyrospermum Parkii (Shea) Butter*, Olea Europaea (Olive) Fruit Oil*, Punica Granatum Seed Oil *, Rubus Idaeus (Raspberry) Leaf Extract *, Tocopherol, Stevia Rebaudiana Leaf/Stem Extract*, Beta-Sitosterol, Squalene, Linalool1. *Organic – 1Component of Natural Flavor.